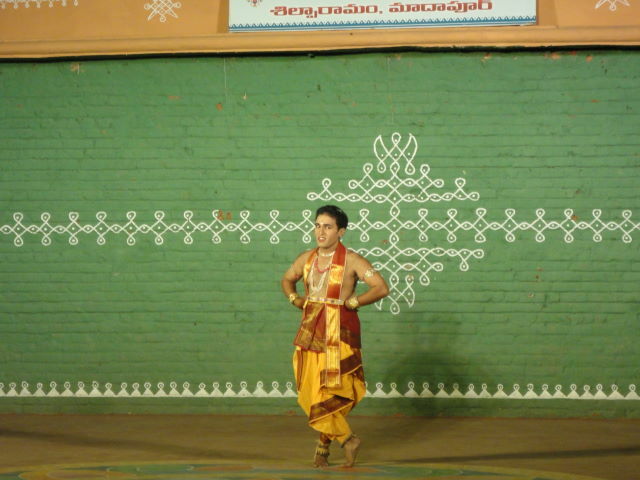 Shilparamam is located at madhapur, It is a very good place where you can find arts and cultural events. I enjoyed the kuchipudi dance and these are the few pictures taken during the show. I do not know the name of the performer.The dance and song was nice. I do not know Telugu, But still enjoyed the show. This was performed by young diploma students(Not sure about the Institute name). They both performed very well. Especially the taller girl danced with great enthu and the other younger one showed very beautiful expressions.